Worlds best Saffron grows in Kashmir & Sold here Online |Ships Worldwide|ABK® Buy Worlds Best Saffron, Walnuts, Acacia Honey, Morels & more! Saffron cultivation in the Kashmir valley dates back to around 5000 BC. 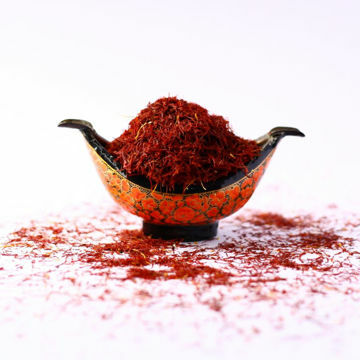 Saffron is believed to have been introduced by the Persian migrants, who along with saffron, introduced many other plant species, especially the Maple tree known locally as chinar, and various arts and crafts - carpet weaving, paper machie, embroidery. The area under cultivation of saffron in Kashmir is about 5700 Hectare with maximum concentration in Karewas area of Pulwama district (87.0%). The quality of saffron of Kashmir is best over the world. Kashmiri Saffron alone has a distinguishing feature of long stigmas with thick heads making it "Worlds Best Saffron". 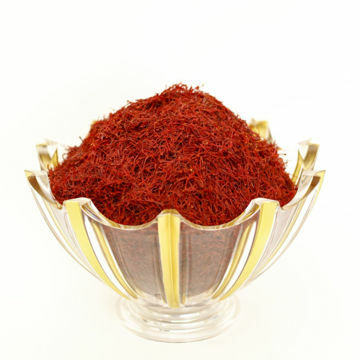 The price of Kashmiri Saffron is fairly higher than Iranian Saffron, possibly due to shorter style and stigma in Kashmiri saffron. The harvest of saffron requires extensive manpower and is generally regarded as a labour-intensive endeavour. Cost input in the cultivation of saffron is very high, labour component accounts for 47% and inputs 53%. The harvest of saffron crop begins with picking the blossoms and separating the stigmas from them. The harvest period is traditionally from late October to late November. One hundred gram of tiny bits of saffron left over after sieving.